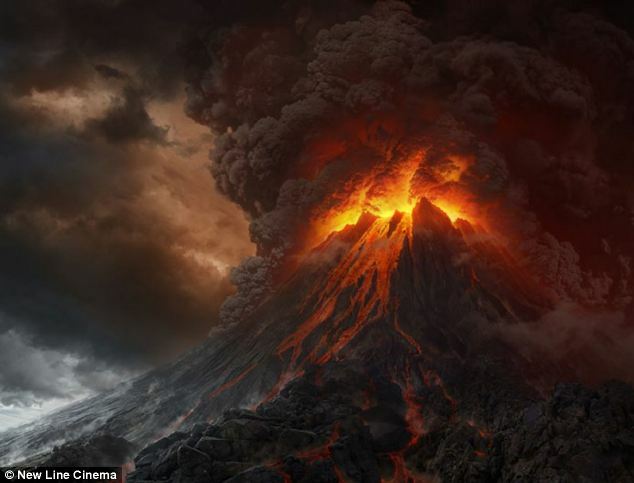 A New Zealand volcano that featured as Mount Doom in The Lord of the Rings movies is in danger of erupting as pressure builds in a subterranean vent, officials have said. The Department of Conservation warned hikers to avoid the summit of Mount Ruapehu, saying that temperature readings by scientists indicated there was an increased risk of eruption at New Zealand’s largest active volcano. 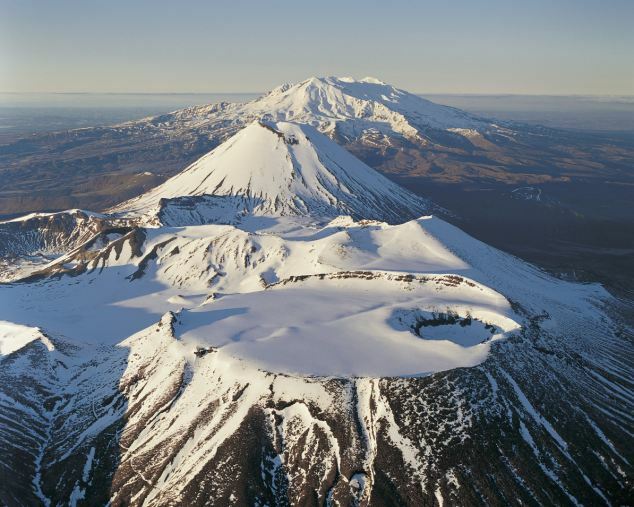 ‘The current situation can’t continue, Ruapehu is so active that the temperatures have been going up and down a lot,’ DOC volcanic risk manager Harry Keys told Radio New Zealand. Official monitoring body GNS Science said the temperature a few hundred metres below a lake in the crater of the North Island mountain was estimated at 800C (1,472F) but the temperature at the lake itself was just 20C (68F). 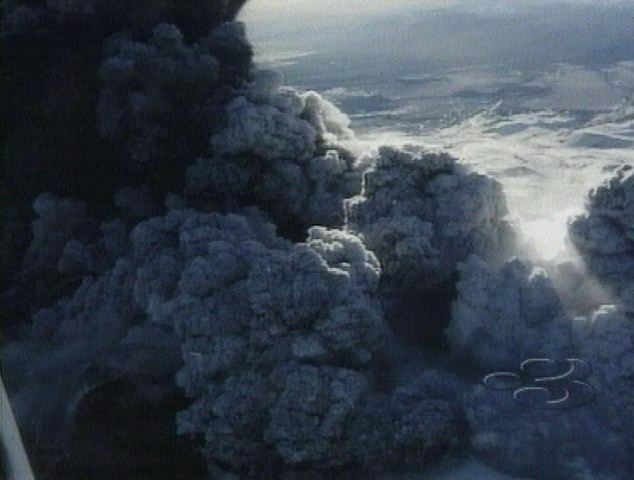 It said this indicated a vent was partially blocked, leading to increased pressure that made eruptions more likely ‘over the next weeks to months’. 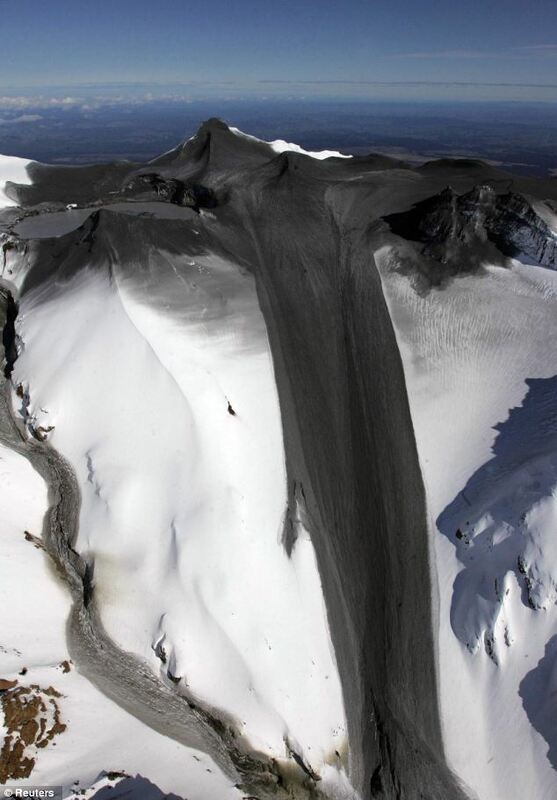 The 2,797m (9,177f) mountain last erupted in 2007, sending a lahar – a fast-moving stream of mud and debris – down the mountain but causing no injuries. In 1953, a massive lahar from the mountain caused New Zealand’s worst rail disaster when it washed away a bridge at Tangiwai and a passenger train plunged into the Whangaehu River, claiming 151 lives. Director Peter Jackson used Mount Ruapehu and the neighbouring Mount Ngauruhoe to depict Mount Doom in The Lord of the Rings movies. Another nearby volcano, Mount Tongariro, erupted in August this year, sending a plume of ash 20,000ft (6,100m) into the atmosphere, showering the North Island and disrupting domestic air travel. GEOLOGICAL UPHEAVAL: Louisiana Sinkhole Grows to 8 Acres – 80,000 Gallons of Oil Removed From the Surface!